Each year, millions of Americans travel to exotic locations abroad, whether for business or an exciting vacation. But even if it’s thoroughly planned and researched, international travel can be expensive. That’s why savvy travelers do everything they can to cut costs and lower fees when venturing to foreign destinations. Among the ways to lower your travel expenses is to use a credit card that charges no foreign transaction fees when making purchases or converting to the local currency. With many cards charging as much as a 3% transaction fee on international purchases, you can see how this quickly adds up. Thankfully there are cards made especially for cost-conscious travelers. For decades, the foreign transaction fees charged by banks and credit card issuers have been seen as just another cost of international travel. Many of us assumed (incorrectly) that they were like foreign exchange fees — in other words, a legitimate expense. But transaction fees don’t actually represent a cost incurred by banks; they’re simply another source of revenue. In recent years, travel cardholders have begun to realize this, and have increasingly voted with their wallets. Here are the top five overall cards with no foreign transaction fees. With premium benefits for before, during, and after your trip, this is the card named “Best Premium Travel Card” for 2018 by MONEY Magazine. The Chase Sapphire Reserve®, which offers up to 3x bonus points, a $300 annual travel credit, and no blackout dates or travel restrictions, is an excellent travel companion. Similar to the Sapphire Reserve®, the Chase Sapphire Preferred® Card offers 2x points on travel and restaurant purchases, along with other travel benefits for a smaller annual fee than its Reserve counterpart. It’s a superb card for frequent travelers who want more value from their travel rewards card — along with no foreign transaction fees, of course. 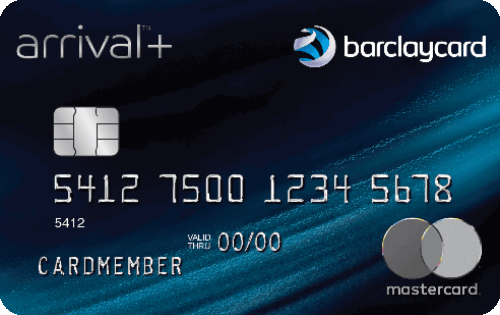 The Barclaycard Arrival Plus® World Elite Mastercard® offers one of the highest bonus mile programs for purchases made in the first 90 days, providing you meet the initial spending limit. You also get 5% of miles back every time you redeem them, in addition to no airline, seat, or hotel restrictions. This Discover it® Miles was developed specifically for travelers, with 1.5x miles on all purchases, no airline or hotel restrictions, plus no annual fee. Discover will also match all the miles earned by new cardholders in the first year, automatically. And if that isn’t enough, this card comes with a nice introductory rate for first-time cardholders. For a great all-around travel card, it’s hard to beat the Capital One® Venture® Rewards Credit Card. In fact, this card was named the “Best Travel Card of 2018” by CNBC, thanks in large part to its generous one-time bonus on purchases made in the first three months. It also comes with no annual fee for the first year, followed by a relatively low fee in subsequent years. Frequent travelers will appreciate this top-tier travel rewards card, with its 3x points on all travel and dining worldwide. Plus, cardholders automatically receive up to $300 in annual travel credit every year as reimbursement for travel purchases charged to the card. And with one of the best bonus point reward plans for meeting the minimum spending requirements, the Chase Sapphire Reserve® will quickly have you earning maximum miles. It’s no wonder MONEY® Magazine named the Chase Sapphire Reserve® their “Best Premium Travel Credit Card” for 2018. Cardholders can also take advantage of 50% more in point redemptions through Chase Ultimate Rewards. That means 50,000 miles will get you $750 toward travel expenses. This card does have a $450 annual fee, and is intended for those with good to excellent credit. For travelers who don’t mind keeping track of the quarterly bonus categories, the 5% cash back that you get with the Discover it® Cash Back card can be worth the effort. Every three months the bonus categories rotate, offering 5% cash back at places like gas stations, restaurants, grocery stores, and even Amazon purchases. One thing to note, however, is that the 5% back applies to just the first $1,500 in spending each quarter, and you must opt-in to these bonus categories each quarter. Another feature of this card is the Cashback Match™ program available to new cardholders for the first year. This program is designed to match all of the cash back you’ve received at the end of your first year, automatically. And there’s no limit to how much is matched. Keep in mind that this is an introductory offer, and may be discontinued at any time. 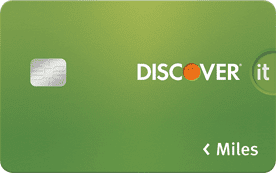 The Discover it® Cash Back has no annual fee and comes with a regular APR 14.24% - 25.24% Variable. For a flexible travel card that earns 2x points on travel and dining, it’s hard to beat the Chase Sapphire Preferred® Card. Frequent travelers who don’t want to pony up the $450 annual fee for the Sapphire Reserve can get this one for a more modest $95 annual rate. You’ll still have access to any bonus points earned when you make the minimum purchase amount in the first few months, and you’ll get 25% more value when you redeem using Chase Ultimate Rewards. In addition to the 2x points earned when using this card for travel and dining, you’ll earn 1 point for all other purchases. Points earned using the Chase Sapphire Preferred® Card can transfer to other leading frequent travel programs at a 1:1 value if you choose. This card is intended for consumers with good to excellent credit. Business travelers will love the Ink Business Preferred℠ Credit Card from Chase for its 3x points on the first $150,000 in combined business and travel purchases made each year. Points never expire and can be redeemed for travel, cash back, gifts, and more. Also, points are worth 25% more when redeemed for travel through the Chase Ultimate Rewards program. The Ink Business Preferred℠ Credit Card also comes with one of the better introductory period bonus point plans when you meet the minimum spending requirements in the first 3 months. There is a $95 annual fee for this card it is best-suited for business owners with good to excellent credit. Students planning a semester abroad would do well to consider taking the Discover it® Student Cash Back along with them. 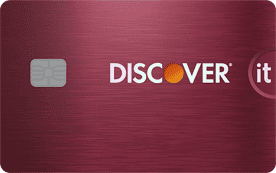 This card offers Discover’s excellent 5% cash back on rotating categories each quarter, such as gas, groceries, restaurants, even Amazon purchases when you opt-in each quarter. You’ll get 1% cash back on all other purchases. Reward points can be redeemed 1:1 for cash in any dollar amount and at any time, and they never expire. This card also comes with Cashback Match™ from Discover, which matches all the cash back bonuses you’ve earned during the first year of having the card. Students who maintain a 3.0 GPA or higher will also receive a $20 statement credit each year for up to five years. There’s no annual fee for this card, which makes it great for students traveling on a budget. As the largest merchant payment network, Visa-branded cards are accepted virtually anywhere in the world. And if you want a Visa card that’s a great travel companion, you can’t go wrong with the Capital One® Venture® Rewards Credit Card. This card gives you 1.25x miles on every purchase and comes with no annual fee. You can use your miles to fly on any airline and stay at any hotel, with no restrictions. The Capital One® VentureOne® Rewards Credit Card also lets you transfer your miles to many of the leading travel loyalty programs. An introductory rate may be available and is intended for those with excellent, or at least very good credit scores. The Mastercard logo is one of the most recognized in the world, and Mastercard-branded cards are accepted just about anywhere you travel. That’s one reason the Barclaycard Arrival Plus® World Elite Mastercard® makes such a statement. Another reason is the unlimited 2x miles you get with this premier travel card, on every purchase you make. Miles can be redeemed for travel, or for cash back statement credits. New cardholders may find they enjoy a generous bonus miles credit if they spend the required minimum amount within the first 90 days. Also, the annual fee of $89 is waived the first year. A nice feature of this card is the 5% of miles back every time you redeem, and of course, the miles never expire. There is an introductory APR period, after which you can expect a regular variable APR depending on your creditworthiness. 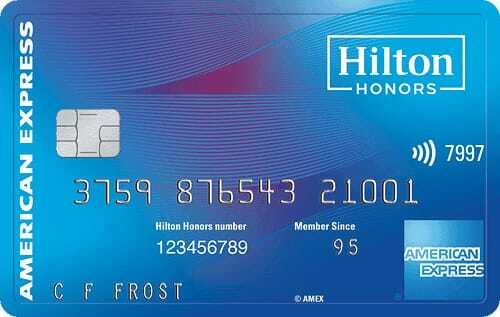 If you’re looking for an American Express card for travel that comes with no annual fee, then the Hilton Honors Card may be just right for you. With an abundance of bonus points for certain spending categories, you can quickly build up those coveted miles. 5x points at restaurants, gas stations, and grocery stores in the U.S.
New card membership may also lead to bonus points if you spend the minimum required in the first three months. American Express is well-regarded for its focus on customer service, particularly for those traveling abroad. With this card, you can get all of the benefits of membership without paying an annual fee. Travelers who like earning bonus miles on purchases will love the Discover it® Miles card, with its unlimited 1.5x miles on every dollar spent. But that’s not the best part. Discover will match all the miles earned by new cardholders in their first year so 40,000 miles becomes 80,000 miles — which is $800 in cash or payment toward future travel plans. And since miles can be redeemed for cash, it’s like getting 3% cash back on all purchases made with the card. There are no blackout dates with this card, and miles can be used on any airline or at any hotel. It has no annual fee and a 0% introductory rate may be available to new cardholders, followed by a regular variable APR, based on your creditworthiness. This card is intended for those with good to excellent credit. Paying a foreign transaction fee used to be one of those things we simply accepted without a thought or question. It must have something to do with currency exchange rates, right? But if we dig a little deeper into just what takes place when making a card purchase in another country, we get a clearer picture of this fee. When using your credit card abroad, the dollars you spend are converted into the local currency at a rate that’s set by the bank or card issuer. That’s the currency exchange rate. If your card charges a foreign transaction fee, it is in addition to that exchange rate conversion. So just what is this fee, and where does it go? A foreign transaction fee is a charge imposed by banks in addition to the currency exchange rate. Depending on the card you use and the network it’s on — Visa, Mastercard, Amex, Discover — you may be charged 1% by the network as a foreign bank processing fee. In addition, your card issuer may also charge up to 2% as their own foreign transaction fee. Do they have to do anything different in processing your charge? Nope. That’s why some card issuers have decided to do away with the foreign transaction fee entirely, even absorbing the 1% network charge. Something to keep in mind is that you don’t have to actually travel overseas to have a foreign transaction fee charged to your card. If you make a purchase online that goes through a foreign bank or is denominated in a currency other than U.S. dollars, you’ll likely be charged this fee. The bottom line is that foreign purchase transaction fees are not a requirement, nor a necessary part of using your card overseas. Choosing one of the cards we’ve recommended can help you to avoid this unnecessary expense. What is the Average Foreign Transaction Fee at Each Bank? Not all banks and credit card issuers charge a foreign transaction fee. For those banks that do, or only charge this fee on just some of their cards, we’ve listed below the standard fee schedule that applies. Where applicable, we’ve made a distinction between network fees and card issuer fees. American Express: Amex charges a 2.7% foreign transaction fee for personal and small business cards, and a 2.5% fee for corporate cards. No network fees apply. Bank of America: There are a handful of Bank of America cards that don’t charge a foreign transaction fee, but many that do. For those cards, the typical transaction fee amount is 3% — 1% charged by the network, and 2% charged by the bank. Barclays: Not all Barclays cards charge a fee for foreign transactions, but those that do will cost you 2% from the bank plus 1% from the network, for a total transaction fee of 3%. Capital One: One of the few card companies that charge no foreign transaction fees on any of its cards. Capital One even absorbs the 1% network fee so its cardholders don’t have to pay even that. Chase: Many of the cards from Chase charge a foreign transaction fee of 3% total — that’s 1% for the network and 2% for the bank. However, there are a handful of premium Chase cards that charge only the 1% network fee. Citi: Citi is another bank that charges a 3% foreign transaction fee, with the same split between bank and network. However, Citi has also begun absorbing the fee for its premium cards, and charges no foreign transaction fee for these cards. 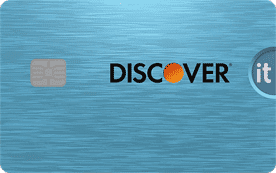 Discover: Discover is another card issuer that doesn’t charge foreign transaction fees, however, acceptance of Discover cards overseas can be spotty, depending on where you travel. You can use this tool to see where Discover is accepted. HSBC: With the exception of premium cards, HSBC charges the same 3% foreign transaction fee that other issuers do, with the same 1% and 2% split. Wells Fargo: With the exception of a single premium travel card, Wells Fargo also charges the typical 3% foreign transaction fee as most other card issuers. While a 3% foreign transaction fee may not seem like a tremendous amount, think of all the purchases you make with your card while traveling. When taken as a whole, the fees imposed can really begin to add up. Frequent overseas travelers would do well to find a card that doesn’t charge any fee — so long as that card meets their other needs as well. Do I Need to Let My Card Company Know I’m Traveling? If you’ve traveled internationally in the past few years, chances are you’ve been told to let your card company know of your travel plans in advance. The stated reason for this is to avoid having a card deactivated due to fraud prevention measures. Wells Fargo lets you easily notify them of upcoming travel plans on its website. Security experts will tell you it’s a good idea to notify your credit card company when traveling abroad, but many also say the current fraud detection systems like EMV chip technology are sufficient protection. Active monitoring for credit card fraud by all major card companies has resulted in far fewer incidents of this type of abuse in recent years. If you do choose to notify your card company of your travel plans, most will let you do so either online or through a mobile app. And since they make it so easy to do, we say better safe than sorry. Avoiding foreign transaction fees can be as easy as choosing the right card, but it can also be a matter of how you spend when you’re traveling. Many experienced travelers choose to pay cash in the local currency, avoiding credit card fees altogether. This can save both fees and time, but it introduces other risks as well. Ultimately, choosing the right card can help you avoid paying unnecessary foreign transaction fees, while still keeping you safe and protected. By using your card wisely, you can enjoy all of the things that make traveling abroad so appealing — and not pay more than you need to.